Martin Cheek Mosaic Class in Los Angeles!! 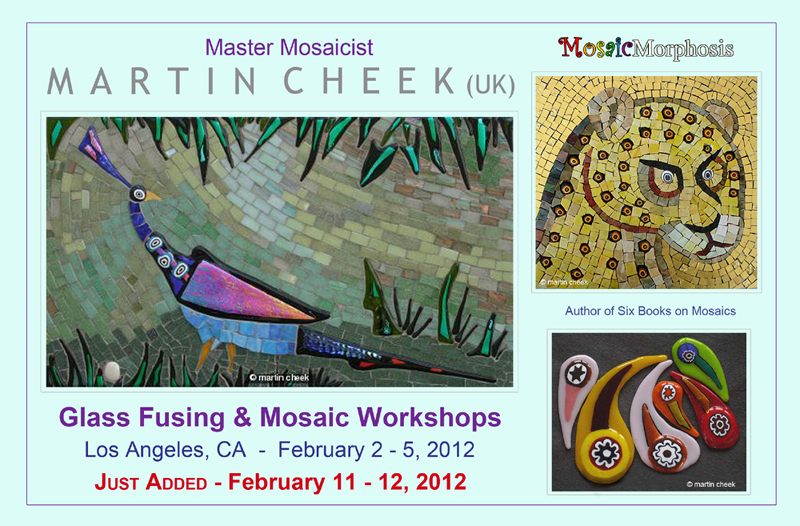 Martin Cheek is coming to Los Angeles to teach mosaic and he’s added an additional class since the first one sold out. So book it while you can!! He’s also teaching a fusing class…fusing for mosaics. Martin has written many books on mosaic and he doesn’t get to Los Angeles very often so you may want to take advantage of this special occasion.